Pheonix Copley signs a 3-year contract extension. 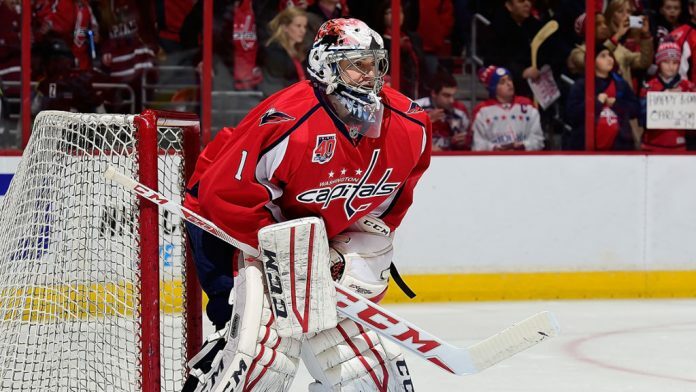 What will the Washington Capitals do with Braden Holtby? What will the Capitals do with Braden Holtby? The Washington Capitals signed backup goalie Pheonix Copley to a $3.3 million, three-year extension that keeps him under contract through the 2021-22 season at a salary-cap hit of $1.1 million. It’s a move that gives the defending Stanley Cup champions some stability in goal. Starter Braden Holtby is signed only through the end of next season, and Washington has top prospect Ilya Samsonov and 2014 second-round pick Vitek Vanecek in the system. With Copley in the fold, the decision is looming between committing long-term to Holtby and turning the net over to Samsonov. If Samsonov proves he can play in the NHL, the Capitals will likely move on from Holtby. Holtby stands to get a significant raise from $6.1 million per year and will be 31 when his next contract begins. With the Capitals already locked in on long-term contracts with T.J. Oshie, Tom Wilson, Evgeny Kuznetsov, and John Carlson, there is likely not enough cap room to re-sign Holtby. The Capitals might look at trading Holtby this summer to get some assets in return instead of losing him for nothing when his contract expires the following summer.